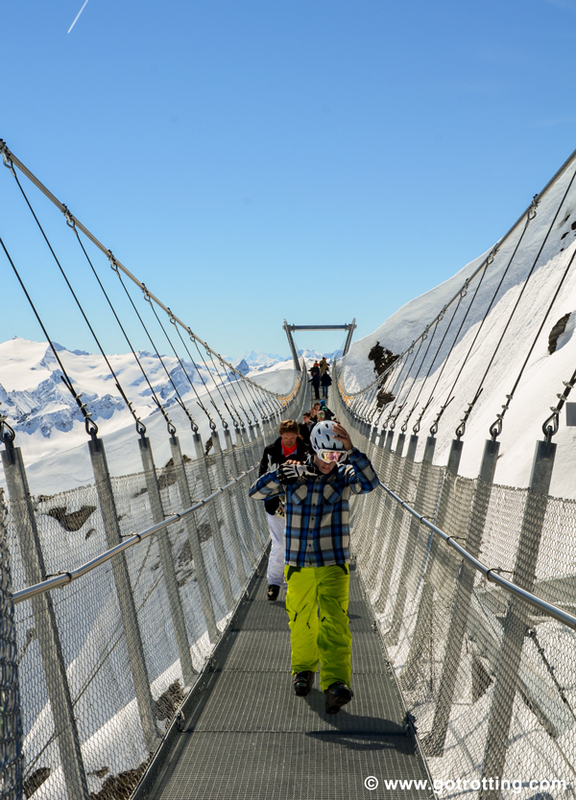 Mount Titlis with its prominent 3,239 metres, located in the canton of Obwalden and overlooking the town of Engelberg, is famous for having the world’s first revolving cable car completed in 1992. 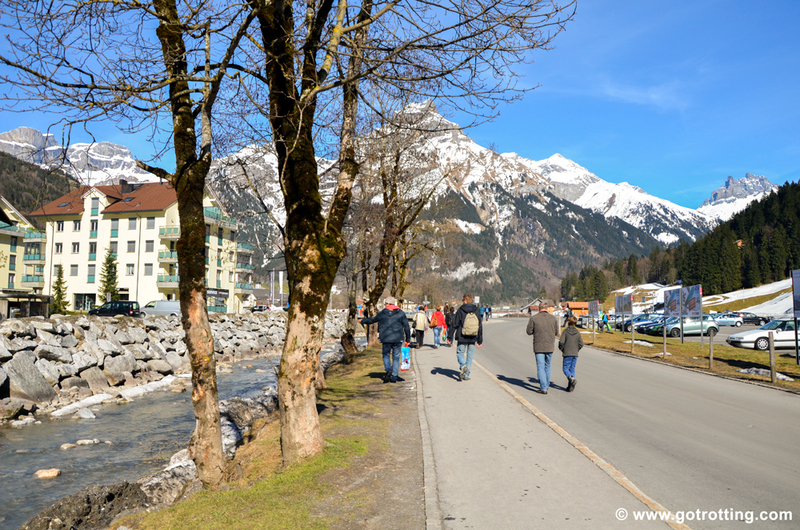 Due to its location, Engelberg became central Switzerland’s most well-known ski resort and it is easily reached from Lucerne, being located only one hour by train. This town of approximately 4,000 inhabitants was in the past famous for its Benedictine monastery and sits on a quiet and idyllic valley. All these attributes make it a truly nice day-trip from Lucerne. 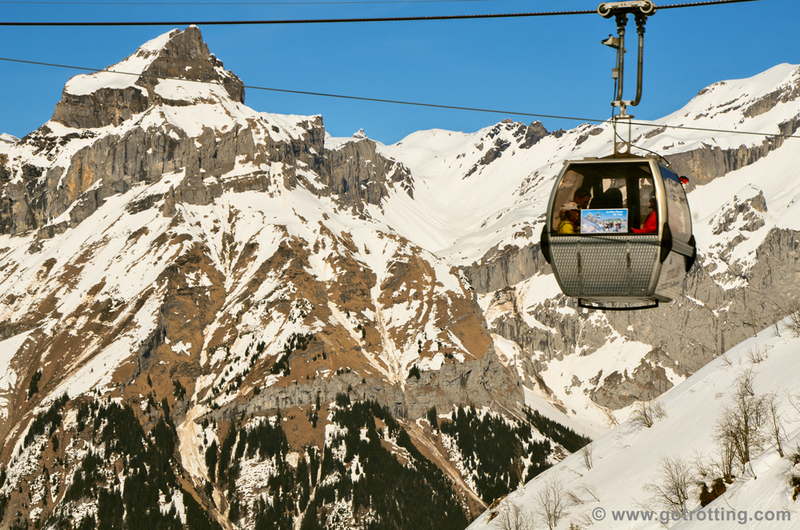 Your ascension to Mount Titlis starting at Engelberg is a four-step journey; first, with a four-seat gondola, you will ascend to Gerschnialp located at an elevation of 1,300 metres. 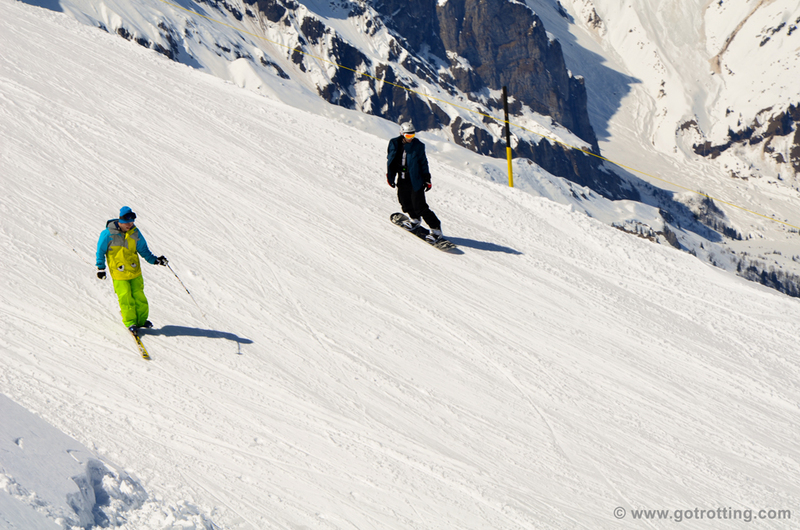 Gerschnialp offers blue and red pistes, suitable for beginners and intermediate skiers/snowboarders respectively. 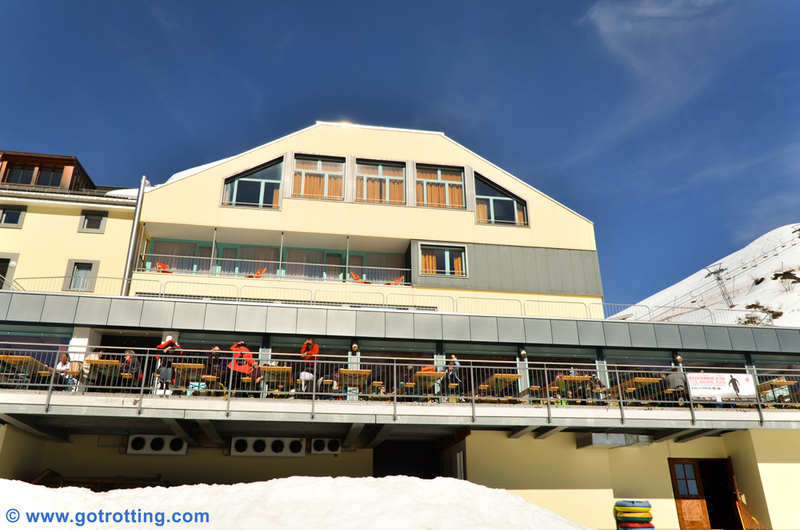 If you choose to stay in the same gondola, then this will take you to the second stop, called Trübsee (1,800 metres), where you can visit the SnowXpark and rent a SnowXbike or SnowXmobile, or you can go for the Rutschpark, where you can enjoy a fun slide on a snowtube, minibob or balancer. 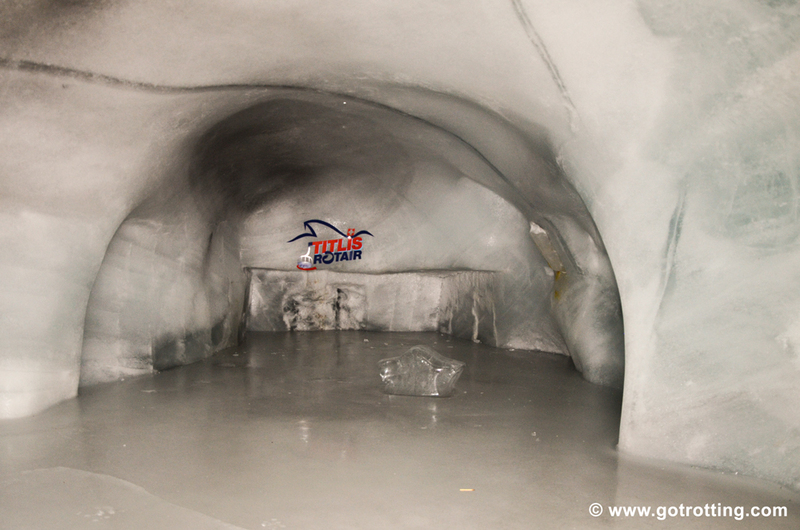 In Trübsee, is also located the Titlis Igloo Village, which is actually a hotel inside of real igloos, where you can stay for the night. 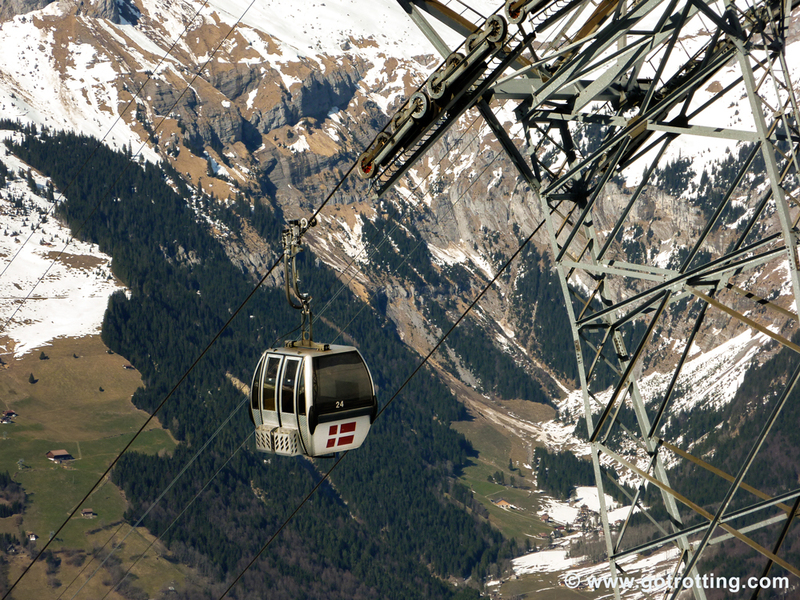 To go further up towards the top of Titlis, change in Trübsee for a big cable car that will take you up to Stand at 2,450 metres. 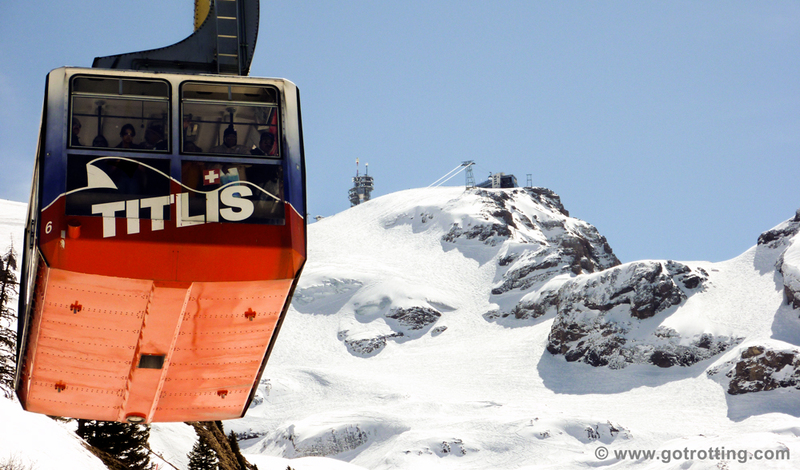 Once in Stand, you will finally board the Titlis Rotair, the rotating gondola. 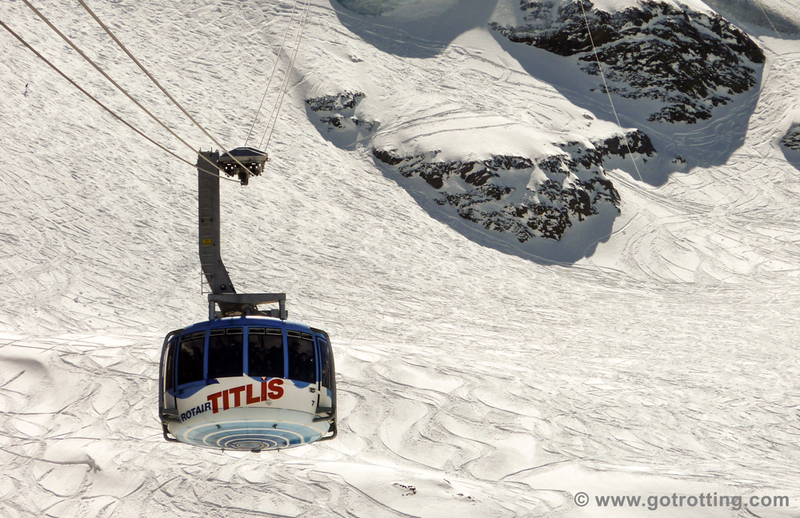 During your trip with the Rotair, savour the amazing view over the Titlis Glacier and the valley. 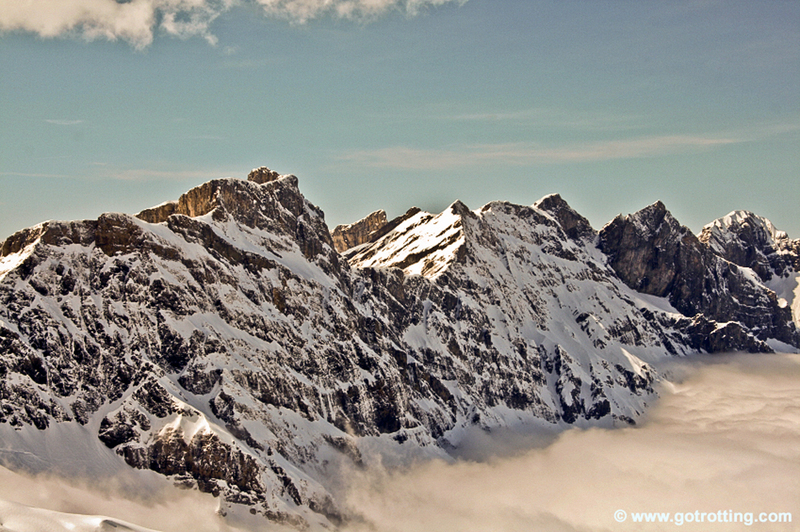 Once at the top station of Kleintitlis (elevation: 3,028 metres), you have many possibilities and attractions. With a 45-minute hike you can reach the summit of the mountain, which is at an elevation of exactly 3,239 meters. 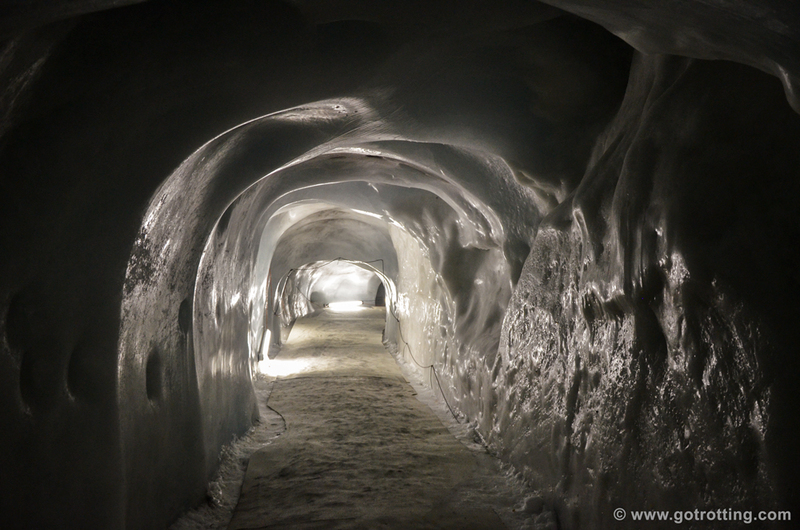 In Kleintitlis, there is the Glacier cave (Gletschergrotte) that is also well worth a visit. 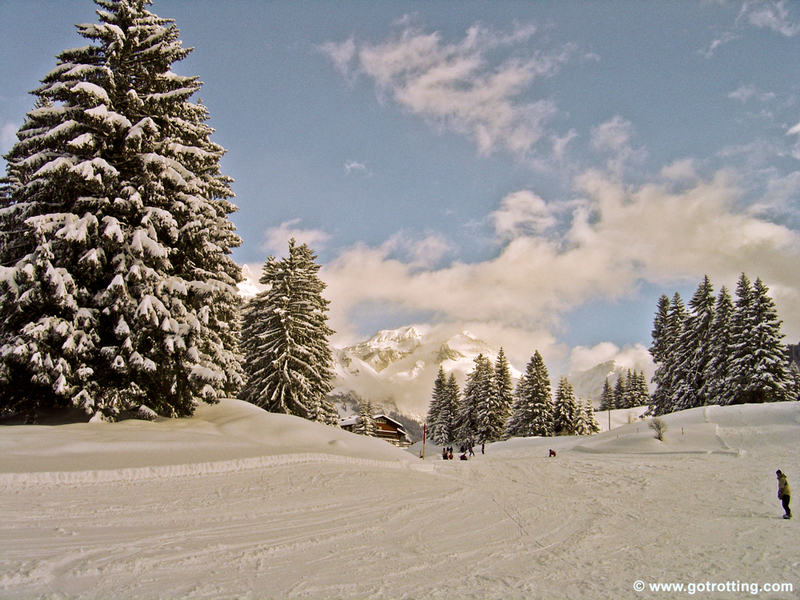 Otherwise, enjoy a nice meal while admiring the snow-covered summits all around you, visit the ultimate highlight of the Swiss Alps, the new Glacier suspension bridge at an elevation of 10,000 feet, or —if you are experienced enough— simply enjoy a thrilling ski or snowboard ride down these snow-white pistes. With the Ice Flyer chair-lift (elevation 3,000 feet), you can go directly down to the Glacier park (Gletscherpark), where you can try a 150-metre-long slide on a snow-tube, snake bliss or balancer, and for the snowboarders there is a freestyle park nearby with a half-pipe.